GRAND HAVEN -Every day at practice, the Grand Haven girls basketball team has a visual reminder of what’s possible. All the players have to do is look up. “There are two giant posters up on the wall of the state championship teams, so it’s like a daily reminder of what we want to do,” said senior Esther Byington, the team’s 6-foot-3 center. 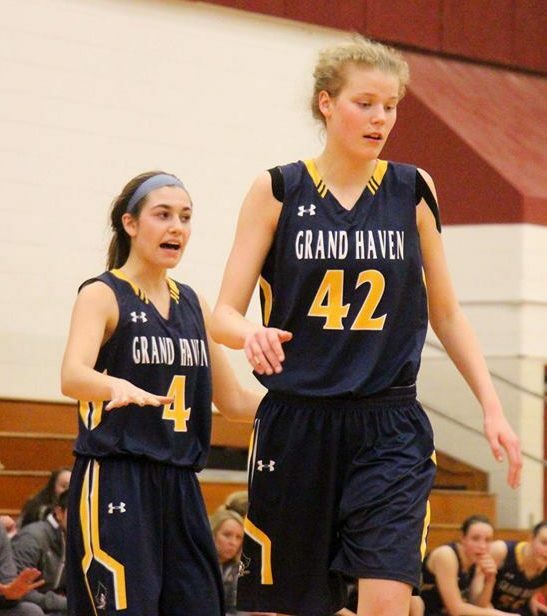 Whether it’s fair or not, any successful girls team at Grand Haven will be compared to the program’s first queens of the court – the 2011-12 and 2012-13 squads that reigned supreme at Michigan State University’s Breslin Center. Both of the those championship teams defeated Grosse Pointe South in the Class A state championship game. The 2012-13 squad stamped its dominance by becoming the only team in school history to finish with a perfect record – 28-0 – capped by a thrilling 60-54 overtime victory in the finals. Byington and the rest of the Bucs were in middle school at the time, but she remembers being star struck any time she had the chance to meet the varsity players. “They were like superstars walking around the halls,” Byington recalled. “I remember being so happy after they signed our shirts or posters we had. The current group of Bucs have a long way to go to meet that level, but the excitement is definitely building. Grand Haven is off to a sparkling 10-0 start, keyed by an outstanding senior class and a tremendous mix of talented size in the paint and quality shooters around the perimeter. The Bucs hope to keep their record perfect with a home game against East Kentwood on Friday night. Grand Haven coach Katie Kowalczyk-Fulmer, now in her 21st season leading the program, said it’s difficult to compare this year’s squad to her title teams, but in the big picture, she believes they are similar. Kowalczyk-Fulmer believes the team’s biggest asset is the unusually large class of seniors, who are in search of their first district title. The key trio in that group are all committed to play Division 2 college basketball — Byington at Northern Michigan University, 6-1 forward Kelly Olthof at Lake Superior State, and 5-9 guard Alli Keyser at Northwood University. So all three will eventually be rivals in the Great Lakes Intercollegiate Athletic Conference. When all is said and done, Keyser will be one of the most decorated players in Grand Haven history. A four-year varsity player, she’s on pace to break Emma Veach’s career scoring record, is already the record-holder in career steals, and is closing on the program’s career assist record. This season, Keyser is averaging a team-high 17.2 points per game, along with four assists and four steals per game. Byington was struck with bad luck the past two seasons, suffering an injury right before the postseason during her sophomore campaign, and a season-ending torn labrum just five games into her junior season. Now completely healthy, Byington is averaging seven points and five rebounds a contest, and adds value as a rim protector, with nearly two blocks a game. 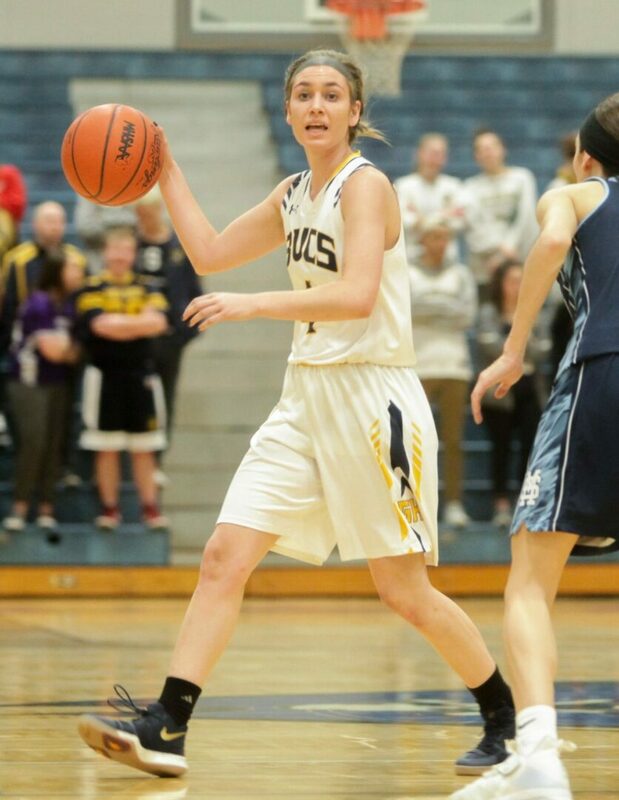 Byington said she’s improved her post scoring, thanks to the tutelage of assistant coach Norm Greene, one of the Grand Haven boys program’s all-time greats. Olthof can also provide a scoring punch in the paint. She’s averaging 7.5 points and five rebounds a game. 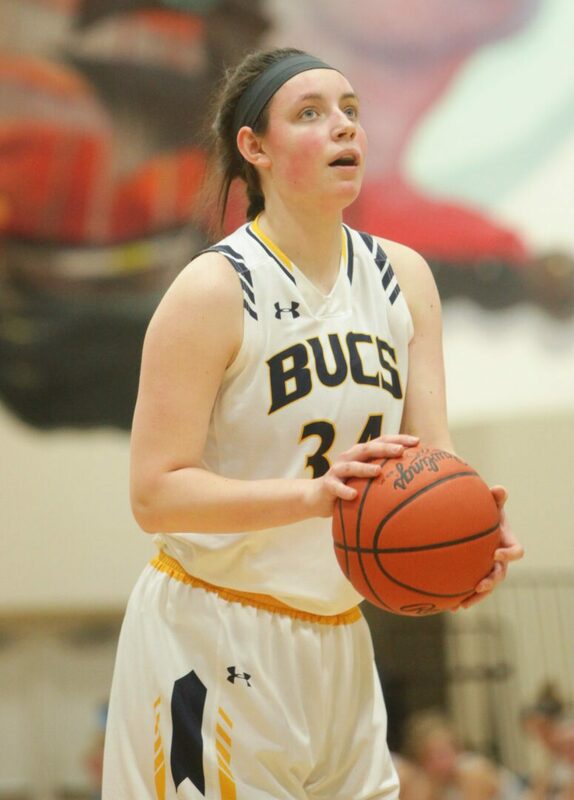 Add in deadly shooters like Anna Strom and junior Jolee Houle, a transfer from Zeeland West, and the Bucs may have all the pieces to match the legacy of their former idols.